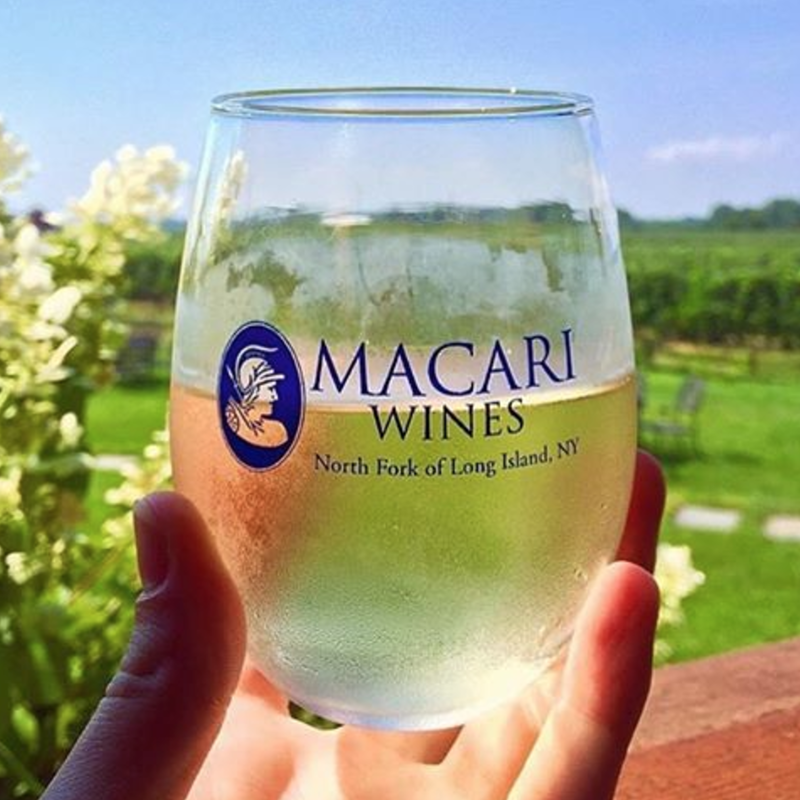 In honor of International Women’s Day, we want you to know the amazing winemaker behind the wines of Macari Vineyards, Kelly Urbanik Koch. Kelly was born and raised in St. Helena, CA where she worked her grandfather’s vineyard and enjoyed making homemade wine with her family from an early age. Kelly received her BS in Viticulture & Enology from UC Davis with a minor in French. Kelly’s past work includes Beringer in California and Maison Louis Jadot in France. Kelly has received 90+ point awards from the Wine Spectator, Wine Advocate, Wine Enthusiast, and Wine & Spirits magazine, and medals from the New York Wine & Food Classic, International Woman’s Wine competition plus honors from Decanter. When not drinking wine, Kelly enjoys Belgian-style beers, hard cider and she considers herself a tea fanatic. Fun fact: this wine is 100% stainless steel fermented, which means you don’t get the buttery, vanilla notes of an oaked Chardonnay. If you think you don’t like Chardonnay, we highly recommend trying this beautiful, bright, crisp, and light expression of the varietal. On the nose, you’ll get citrus and pear while the palate exudes slate, cantaloupe, and ripe apple. This bright wine finishes with clean acidity. – The forthcoming spring weather! Kelly’s Favorite Pairing: There is a well-known phrase, “If it grows together, it goes together.” This is especially true on the North Fork with our wines and local foods. One of my favorite pairings is our Macari Estate Chardonnay (stainless steel fermented) paired with fresh blackfish that my husband caught just an hour or two earlier. Alex and Louisa Hargrave planted the first Long Island vineyard in 1973 in the town of Cutchogue, N.Y. The AVA was established in 2001. The terroir is derived from glacial soils, cool maritime climate, and native flora. Soil: Loamy topsoil and sandy-gravelly subsoil that is well drained. Climate: Long, warm summers are tempered by cooling breezes off the Long Island Sound and Atlantic Ocean that prevents excessive summer heat. The surrounding water gives off warmth to the East End that extends summer into a mellow fall, allowing ample time to ripen fruit well into October and November. 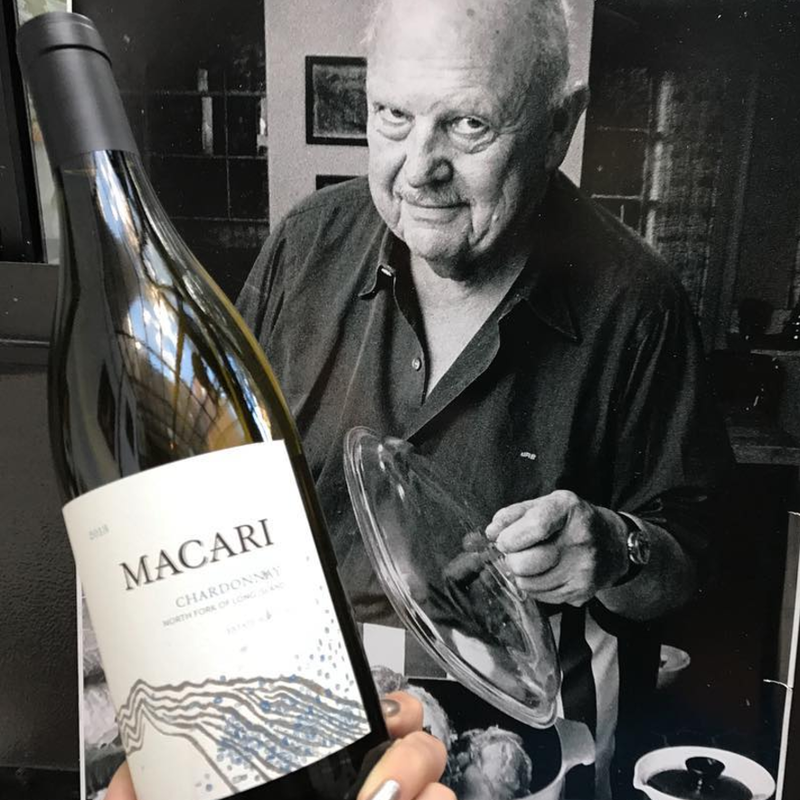 Macari Vineyards was the featured winery at a James Beard Foundation dinner, where they served the Chardonnay Estate. 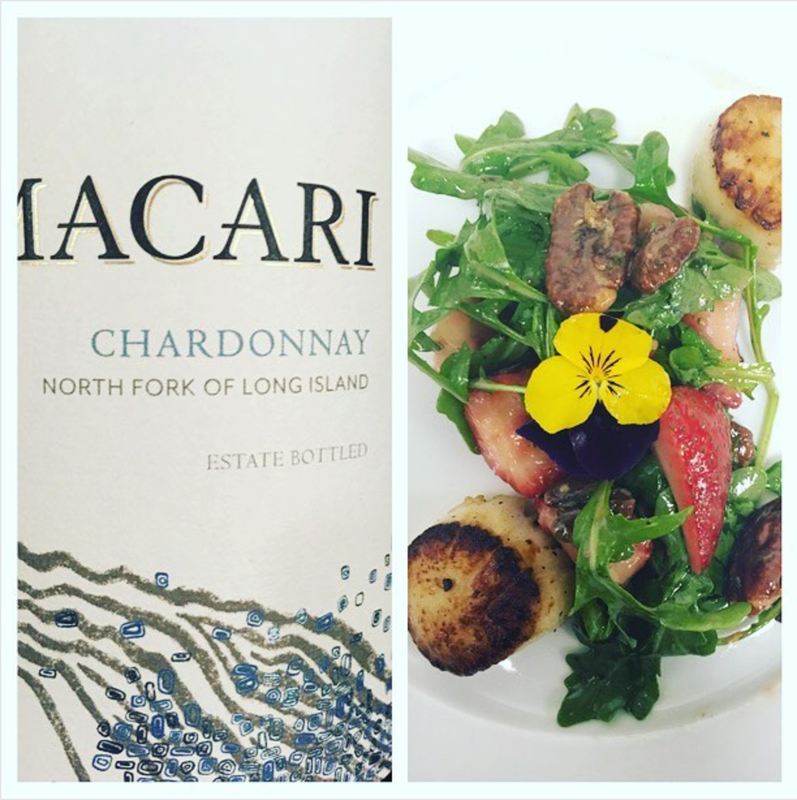 Jamesport Manor paired the Estate Chardonnay with Strawberry, Pecan, Arugula in a lavender sea salt vinaigrette with Pan Seared Scallops.